Kim Kardashian is officially a mom of two! The reality star gave birth to her second child, a boy, on Saturday, and revealed the happy news on her official website. PHOTOS: Celebrity Baby Boom Of 2015! 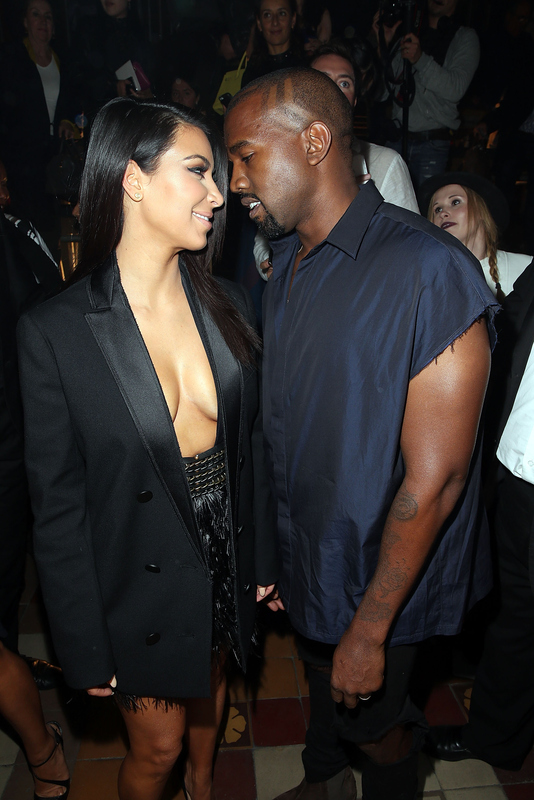 Kim also shared an announcement on Twitter, posting a photo of her and rapper husband Kanye West holding hands. “He’s here!” she captioned the snap. The couple, married since May 2014, has not yet revealed a name for their new bundle of joy. Baby boy West, like his big sister, North, 2, arrived earlier than first expected. Kim was originally due around Christmas, and told fans in a blog post on Dec. 1 that she’d undergone a procedure over Thanksgiving weekend to have the baby manually turned from a breech position. On Friday night, the 35-year-old mogul may have hinted that her son was on his way with an eager Instagram post. “Ready whenever you are, lol,” she wrote, showing off her nine-months-along belly in a mirror selfie.